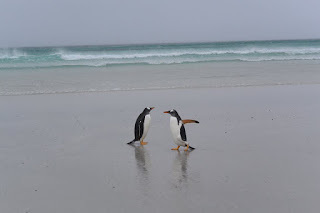 On Sunday some of us visited a penguin colony in the Falkland Islands at Volunteer point. Getting to the colony required a 2 and half hour dive overland on a land rover. The long and slow journey was worth the wait! 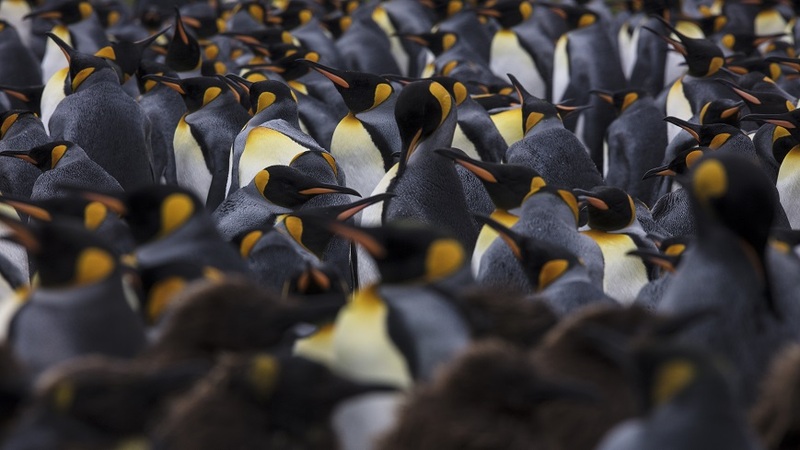 As we got closer and closer to the coast, hundreds of penguins appeared. 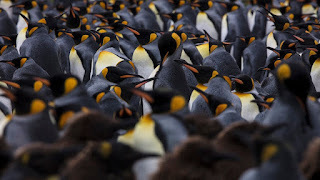 The colony was full of King penguins, Gentoo penguins, and a few Magellanic penguins. 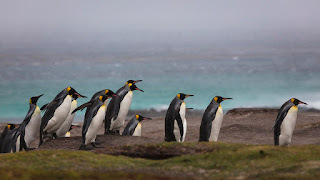 The King penguins had chicks, some still covered in their fluffy brown feathers and some already molting. 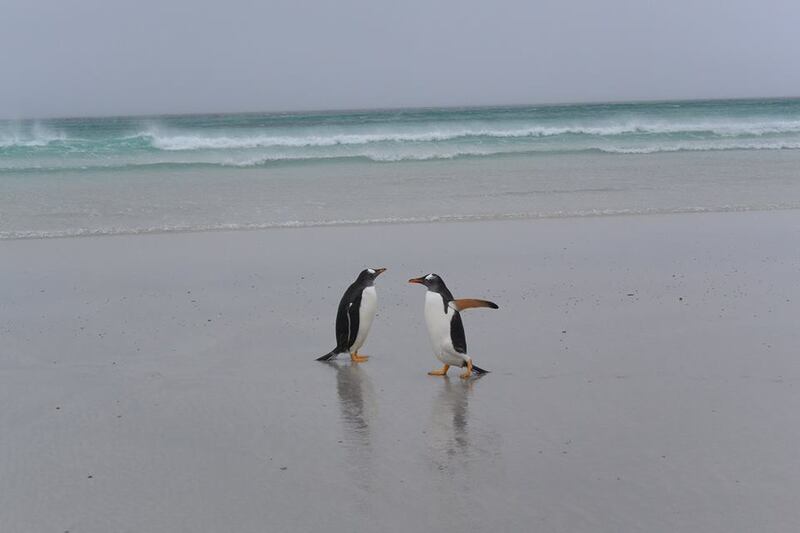 The Gentoo penguins were all sitting on nests, patiently waiting for their eggs to catch. 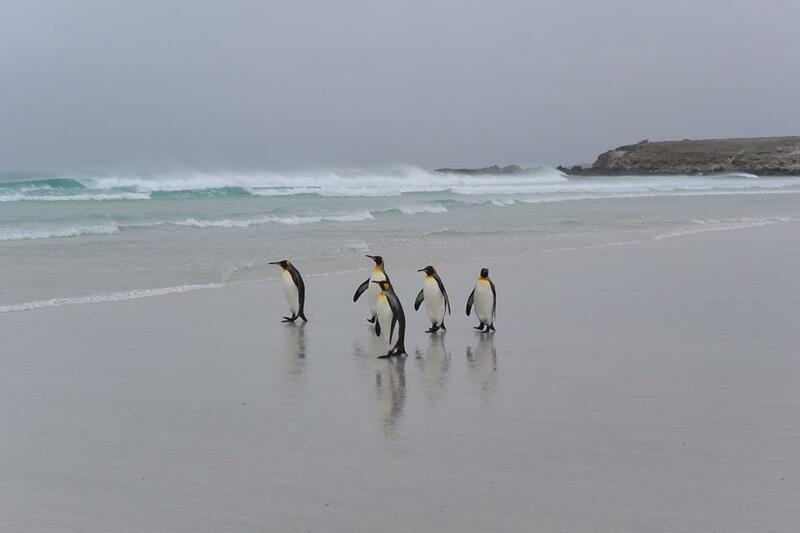 And, surrounding the edges of the colony were the Magellanic penguins, the only burrowing species of penguin. 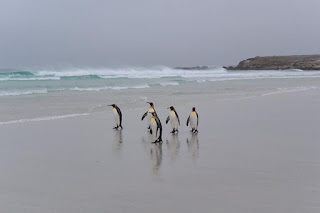 The weather was terrible, with 50 mph winds and sleet, but the bad weather seemed to not matter when you are sitting in a penguin colony!